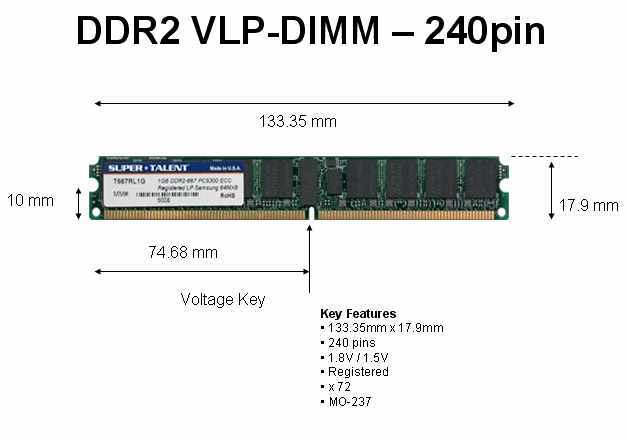 This technical note provides a comparison of the most common DIMM memory module form factors. All the module form factors discussed in this technical note all modules are manufactured by various manufacturers. The easiest way to categorize memory module is by form factor. 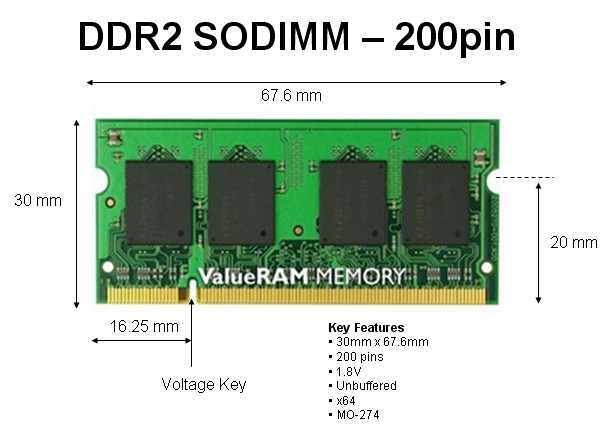 The form factor of any memory module describes its size and pin configuration. Most PC systems have memory sockets ( slots) which can accept only one type of form factor. Some computer systems are designed with more than one type of memory socket, allowing a choice between two or more form factors. JEDEC specifies mechanical outlines (MOs) to provide an industry standard that can be used by any module manufacturer. These specifications can be accessed on the JEDEC Web site and are referenced by numbers. 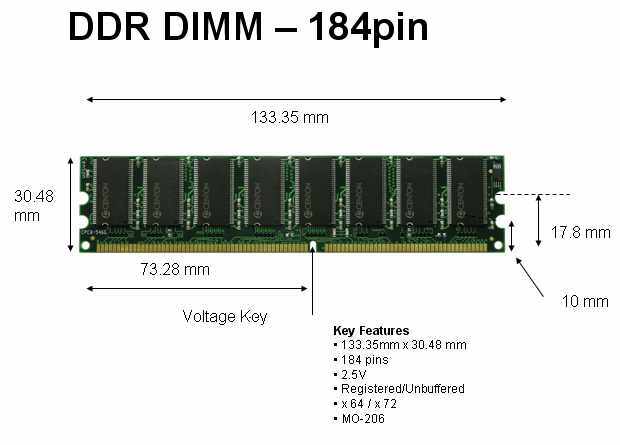 For example, the MO for DDR3 standard- length modules is MO-269. MOs are referenced throughout this technical note and are organized by size. 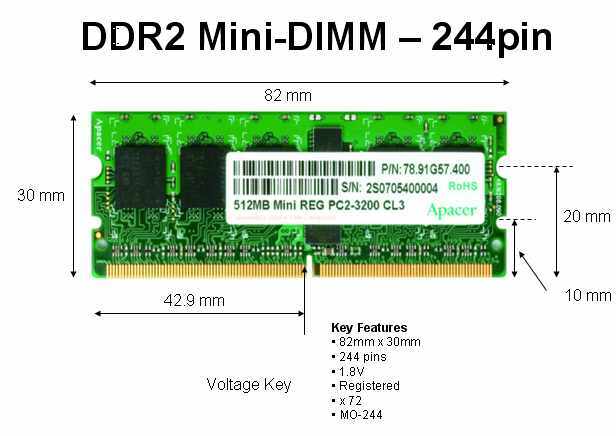 Dimensions provided represent only one variation of the JEDEC standard and are intended for general reference; they are not meant to be substitutes for the dimensions in JEDEC MOs. 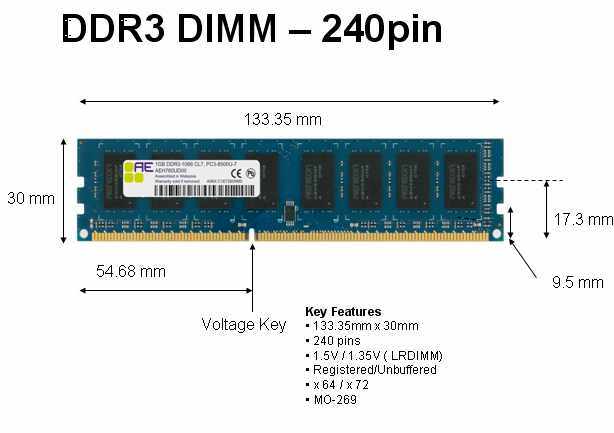 Most memory module dimensions have recently been converted from inches to millemeters as a standard. In this article, all units of measures will be in millimeters instead of inches. The standard-length module is the most commonly used module form factor. 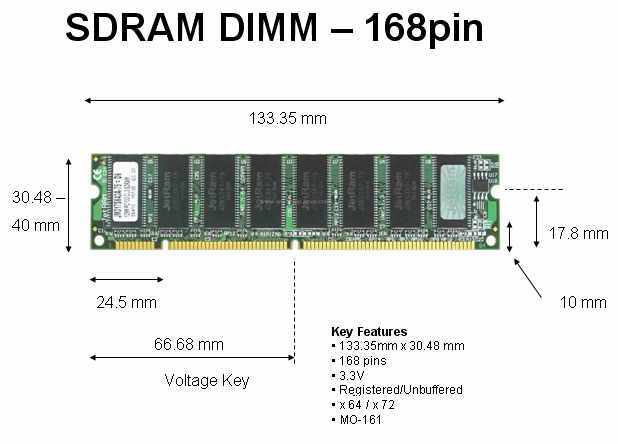 With a typical length of 133.35mm, these DIMM memory modules will accommodate the highest number of DRAM components. Most standard-length modules are 30mm high and used in various applications where real estate is not an issue. Desktop, servers, and workstations are not usually constrained by vertical height restrictions and thus, the 30mm height is easy to accommodate without restricting other mechanical obstructions. 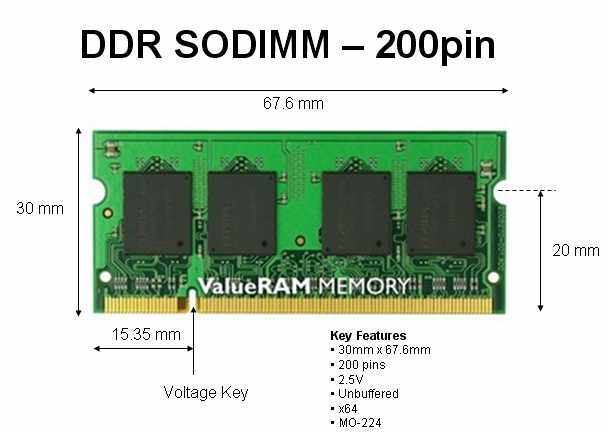 To prevent DIMM modules from being installed in the non- supported systems, the voltage alignment key notch is used in different location for each technology to differentiate the various type of memory technology. SODIMMs were designed to fit into notebook PCs and other small systems. 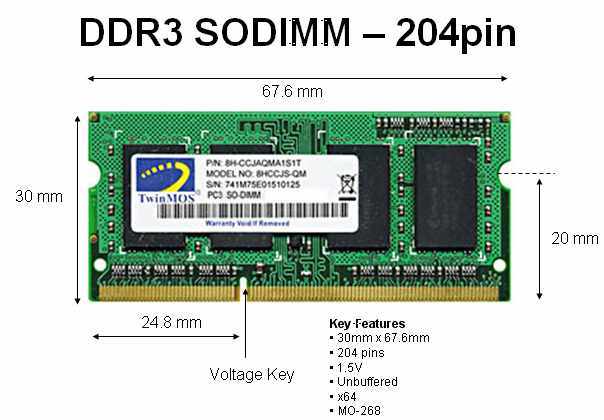 Note that theSODIMM’s size can restrict the maximum density of the module compared to full-lengthmodules. In conclusion , Jedec will continue to define and approved various new form factors and its unlikely the memory form factors will continue to increase or decrease in size. 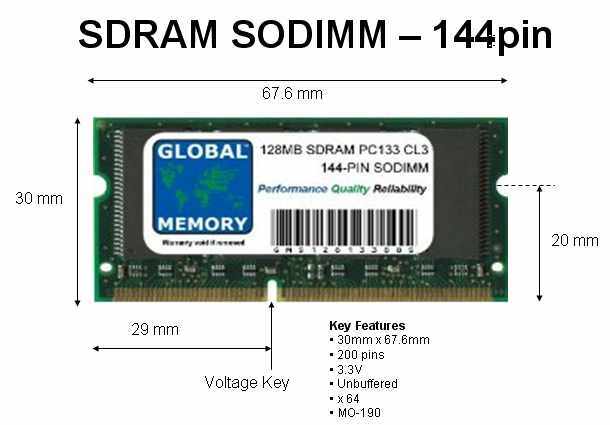 Based on the last few memory technology migrations, the standard DIMM length of 133.35 mm will continue to stay for a long period, meanwhile the form factors for SODIMM length will remain at 67.6mm. 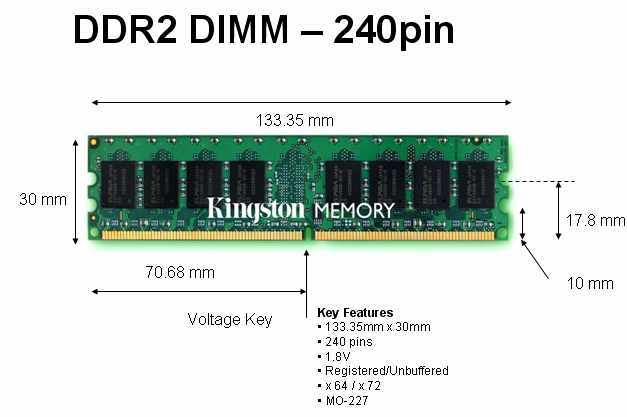 One thing for sure , the number of pin counts may increased however the dimension of the memory module form factor will remain unchanged.